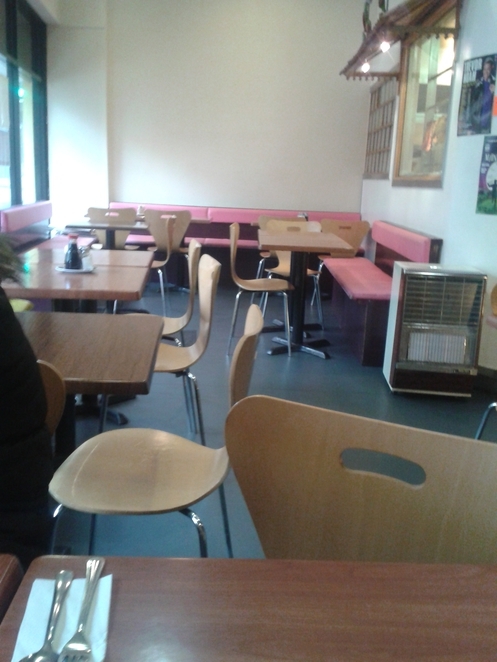 I only wanted a quick bite with a friend, and we were in the mood for cheap, cheerful chow. 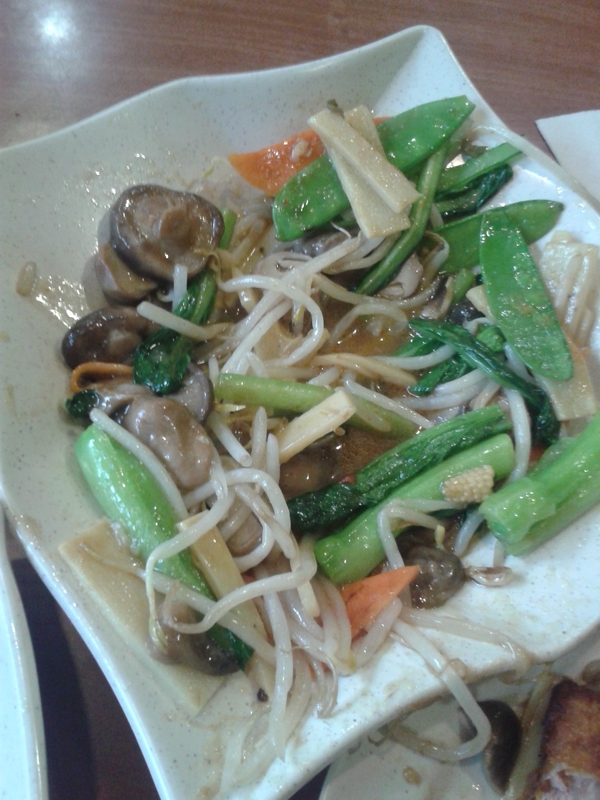 So, we headed to the area where we knew we'd encounter quick service, and food that packs a punch: Chinatown. Instead of the larger and more familiar Chinese restaurants we settled for the humble Malaysian Delight because although the decor is somewhat basic, my friend assured me, their East Asian grub is good. 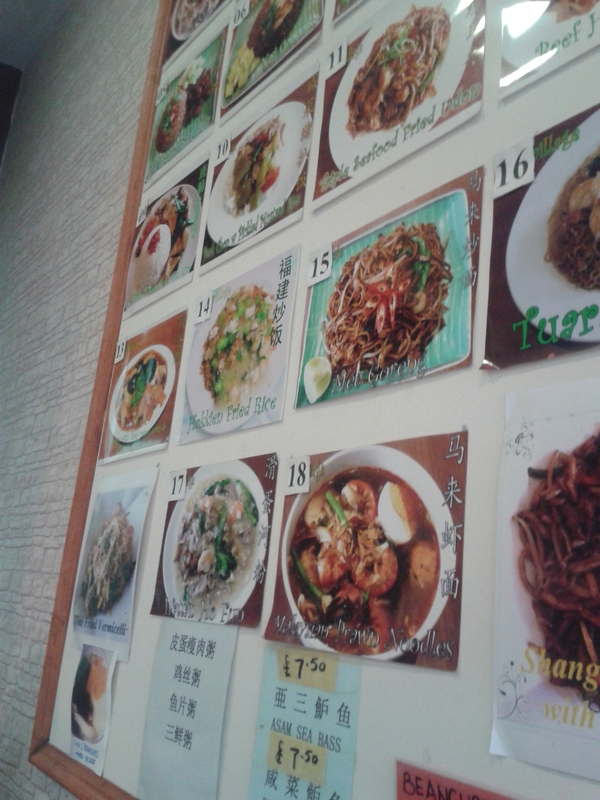 The food wasn't quite traditional Malaysian fare, but generally East Asian. We ordered tom yum soup, as two mains. 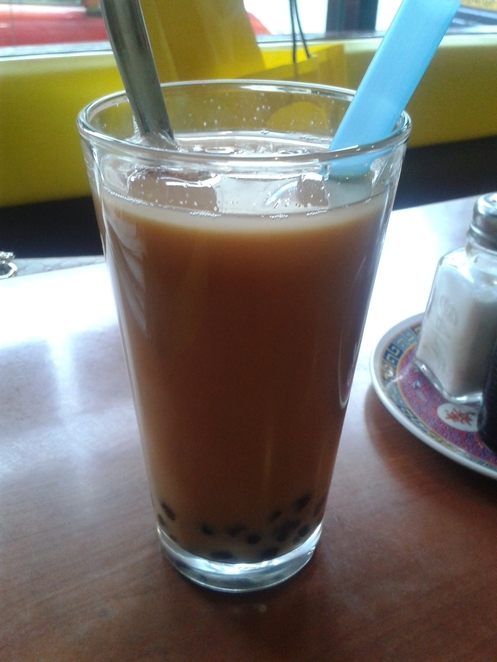 My friend opted for the sweet millk tea (bubble tea), whereas I wanted the Chinese Jasmine, which was served in a glass mug. Twelve of the most popular main dishes are on the right wall and numbered so if the menu looks a bit daunting (there is a lot of food on there), don't worry, just tell your waitress which number you'd like and they'll serve it up. They didn't have what I wanted on the menu as a meal, so instead I ordered two (what I thought would be), smaller dishes, which arrived with the tom yum soup, and my friend's main dish. Firstly, the portion sizes were much larger than expected. I ordered the fried chicken wings and fried vegetables. I had expected sticky wings, which is what I was familiar with, however I got something much better. 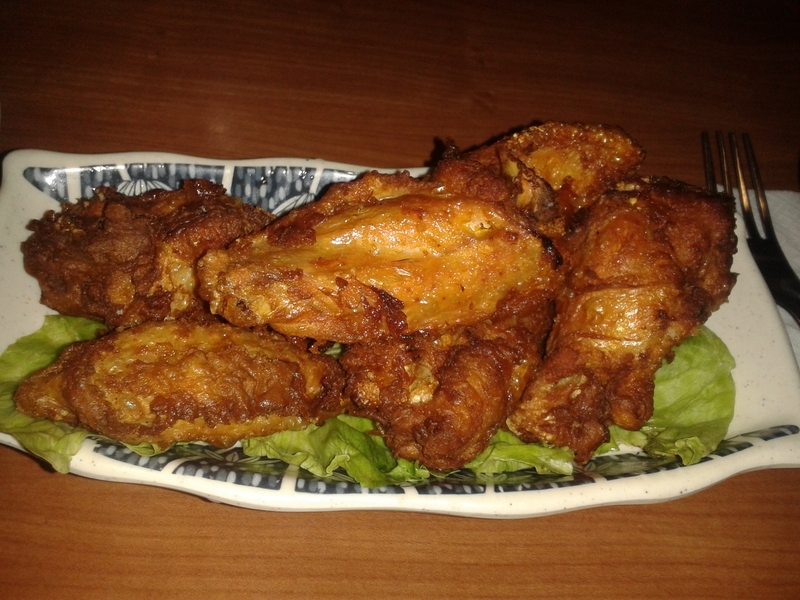 I was served a surprisingly generous amount of six chicken wings, which were meaty, and only lightly fried. 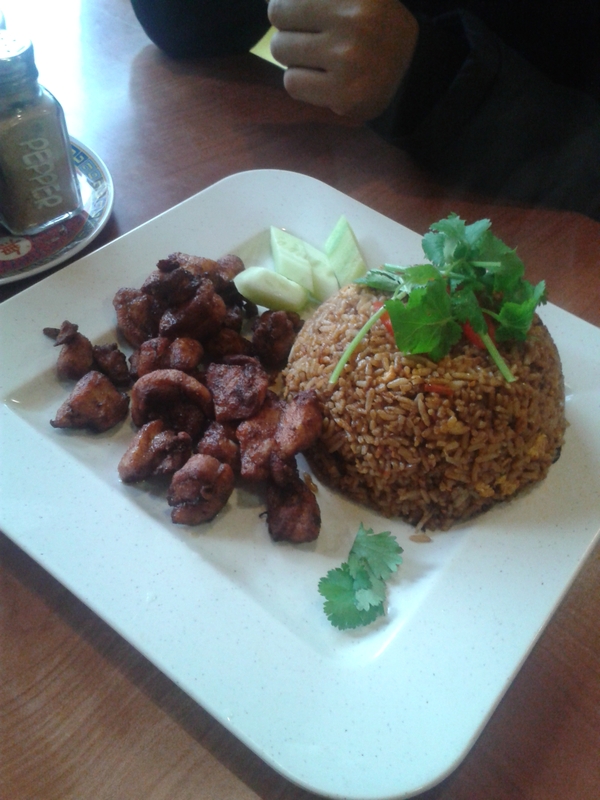 My friend likes her food spicy, so a side of chilli oil was served with our rice. The tom yum soup was equally hot, so I stuck to my chicken and vegetables, which were finger licking good. The portions were large and although my meal sounded small, I could have easily shared my food because neither of us cleaned our plates. Our waitress was sweet, and thankfully because it was practically empty, save for a couple who'd walked in once we'd placed our orders, we were served within 15 minutes. For a bowl, plate, or side dish full of yummy Chinese, 'Malaysian' and almost- Thai fare, there's nowhere cheaper in Chinatown. Bellies full, my friend and I left a tip, of which the waitress was very grateful; Malaysian Delight is just that: delightful.